Thinking of everyone who has been impacted by the horrific storms and tornadoes that came through Birmingham a few days ago...and I'm truly amazed at the awesome sense of community that has come forward to help those in need. Keep up the great work Birmingham! This past Friday brought us a gift for which we've been waiting for a long, long time now...Maggie. A week ago she arrived home from N.E. Japan to Raleigh, NC and then, after a week of getting reacquainted with her own home, made the 10 hour drive here to Birmingham, AL. Her arrival here was more anticipated then usual though after the extenuating circumstances of the earthquake and tsunami she had just endured. My mom is a social worker who travels around the world to work with U.S. military and their families, and for the past few months she was stationed at Misawa Air Force base in N.E. Japan. We are most grateful that she survived the March 12th earthquake and tsunami that devastated so much of the region in which she lived, but also that she was able put to use her incredible skills and talent as a social worker for people who most needed her help. I am incredibly proud of my mother for all that she endured and accomplished while there in Japan. Amazingly, she has agreed to return to Japan next fall, so that she is able to continue supporting the relief efforts needed for our military and the Japanese people. In addition to a fantastic visit, it was a good bit of a break for me, because all the kids wanted to do was hang out with Maggie and Auntie Krista...and they did all they could to make sure their needs were met!!!! Maggie brought several gorgeous silk kimonos back for all of us...including Juliana! She was beyond thrilled at the new addition to her dress up clothes and spent a good part of the weekend dressed in her lovely kimono dancing to Japanese music....!!! Ahhhhh...and yes, Easter. Sunday Mass at Saint Marks, a sweet Easter egg hunt with the kids in the front yard, and a yummy dinner. A simple, yet perfect weekend. The U.S. Is the #1 trash-producing country in the world, producing about 40% of the entire world’s garbage. Every year the average American throws out about 1,200 pounds of organic waste. This organic garbage is the number one least recycled material in the U.S. Composting this extra waste would lead to a significant reduction in the amount of trash that heads to our country’s landfills each year. By investing just a small amount of time, you can contribute toward solving a growing and worsening problem, while also improving your landscape and gardens. If you and your family are not already composting, take the first step and get on board—I promise its easier then you think to begin composting at home today. 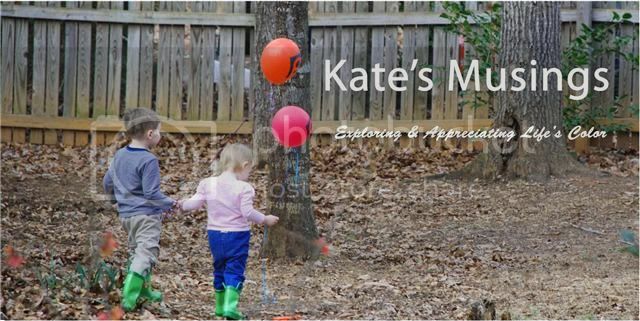 Click here to read the rest of the article over at Birmingham Mommy!! This morning I took Juliana and her friend Isabella to see the play Beauty and the Beast at the Birmingham Children's Theater. They were beyond excited to sit down in the plush theater seats- which were right in front of the stage! The show was performed with a twist-with a setting in India instead. It was a fantastic play, and a great introduction to some further diverse culture for the girls. We can't wait to go back! Thankfully, I made it home safely within the next hour of that awful storm...but today another one, even worse struck our area, causing several tornadoes to touch down...Wow. There were some really stressful moments there for a few moments! Here are a few photos of the storm, WAY before it even had the chance to get crazy!!!! I am on to you and your sneaky ways. I have also grown tired of you. I am tired of having to hand wash you multiple times a day. You see, I can't clean you in the dishwasher because you are made from horribly toxic chemicals that when heated tend to leach risking the health of my family. For the same reason, I also can't use you to re-heat our yummy foods in the microwave. Some of you, I can't even recycle! Seriously, why is that? Where will you go if I can't recycle you? Oh, right, you will go to the landfill or into the ocean, and you will be around forever, reeking havoc on anything and everything that comes near you-air, water, soil...even my children's organs. You are everywhere I look, everywhere I turn. I can't avoid you. As much as I wish I could, I just can't see how I can completely rid you from my life. But wait a minute there, before you start getting all high on yourself I have a little news for you. I have been doing research about you, and I've been gaining a lot of wisdom about your corrosive nature. I've become motivated, and even inspired by what I see others doing to rid you from their lives. I've been making changes you see, and by the time I am done, you won't be nearly as essential in my life as I once thought you were. You are now warned. You are slowly being filtered out. In fact over at Birmingham Mommy, I have even challenged many others to do the same! There I am spreading the word about you, listing the facts, and hoping to motivate others to see how they too, can lessen their dependency upon you. I am replacing you with glass, aluminum, and tin. And what I can't recycle of you, I am passing along to someone else who isn't yet willing to give you up, someone who is better able to appreciate you and your super duper long life. So for now, I'll be seeing around. But it won't be so much in my house. Juliana and Kamilah (our Rhodesian Ridgeback) have a special bond. Okay, well it's not so much of a bond as it is a love/(ehhh hum) "tolerate" relationship. Juliana loves Kamilah, and Kamilah, well let's just say that she is finally beginning to enjoy (tolerate) Juliana! This morning Juliana noticed that Kamilah was limping a little bit. So we checked her out, and all looked fine. But nooooo, that wasn't good enough for our up and coming nurse Juliana. So a few minutes later, Jules comes back to the kitchen, first aid kit in hand, and orders Kamiliah to lay down. "This will only sting for a minute," she explains. Poor Kamilah obeyed and patiently endured having a band aid applied to one of her paws. I have to admit, it was kind of sweet to watch- a few months ago Kamilah would have growled and hid behind me. After all of these years, she's finally coming around! Now if we could just get Sophie (our weimaraner) to actually toughen up a little bit!!! Ahhh, the different personalities of our "children!" With Juliana home from preschools on Tuesdays the day usually ends up feeling a little bit like a a Saturday for us....who doesn't love a Saturday?!!!! indulging in some rare just mom and Juliana time. Juliana helping me to clean the house! I know I will really miss these Tuesdays next year when Juliana begins going to school five days a week...so for now, I will keep making the most of them and will enjoy every moment. News from the HR dept. at Virginia College- they want me to come on board part-time and begin teaching Communications/English courses- Yippeeeee!!!!! Realizing how much I miss my books! that in truth you are weeping for that which has been your delight."